The Game of Thrones Prequel has locked down its first star. 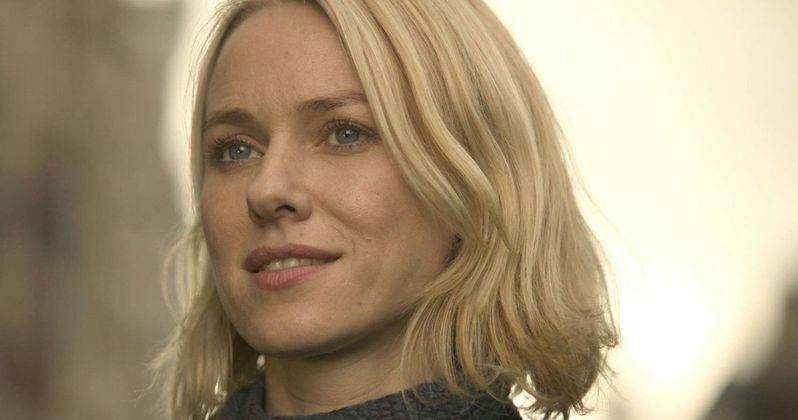 HBO has reportedly tapped Oscar-nominee Naomi Watts to lead the cast of the new series, which has been given a pilot order from the network. Watts had been in lengthy contract negotiations with the studio about the role and both sides managed to work things out to their mutual satisfaction. This is a huge step in the right direction for the series and shows that HBO is going to A-list talent. According to several reports, Naomi Watts will play "a charismatic socialite hiding a dark secret" in the Game of Thrones spin-off, which doesn't yet have an official title. Beyond that, showrunner Jane Goldman and franchise creator George R.R. Martin, who helped craft the story for this new show, are keeping many of the details under wraps. It's unlikely that Watts will be playing anyone with direct connections to the flagship series, as this new show will be a prequel taking place literally thousands of years before the events in Game of Thrones. The as-of-yet-untitled prequel chronicles the descent from the golden Age of Heroes into its darkest hour. The series will explore the horrifying secrets of Westeros' history, as well as the true origin of the white walkers. We may meet some Starks of legend along the way, but it's promised that the history this show is going to present for viewers is not the history they think they know. Jane Goldman penned the screenplay for the pilot, working from the story she cooked up with George R.R. Martin. It doesn't look like current Game of Thrones creators David Benioff and D.B. Weiss are going to be heavily involved. Part of that may have to do with the series of Star Wars movies they've been tapped to write for Lucasfilm. Unlike Game of Thrones, which made much bigger stars out of its cast, Naomi Watts is already a very established and well respected actress. The 50-year-old actress has starred in a wide range of projects throughout her career and scored Oscar nominations for her roles in 21 Grams and The Impossible. Some of her other notable credits include Mulholland Drive, I Heart Huckabees, St. Vincent, King Kong and Birdman. She recently appeared in the TV series Gypsy and had a memorable role in Twin Peaks as Dougie's wife. There is no word on when production will get underway on the new series, which was one of five different spin-offs that HBO had in development at one time or another. It has previously been reported that the pilot may shoot this year, but that turned out not to be true. Game of Thrones is set to conclude next year with its final season and the network will surely want to have this ready in time to help fill the void come 2020. We'll be sure to keep you posted as any new details regarding the spin-off make their way online. This news was previously reported by Variety.